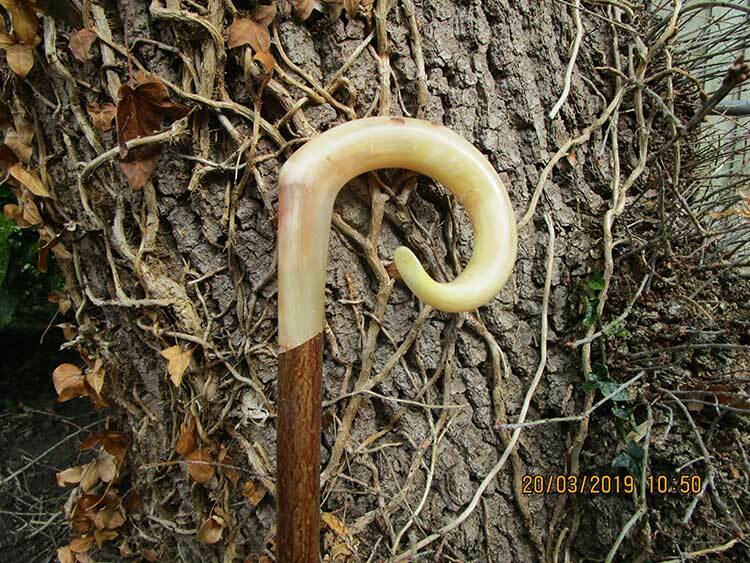 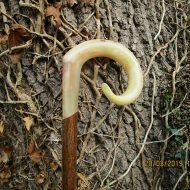 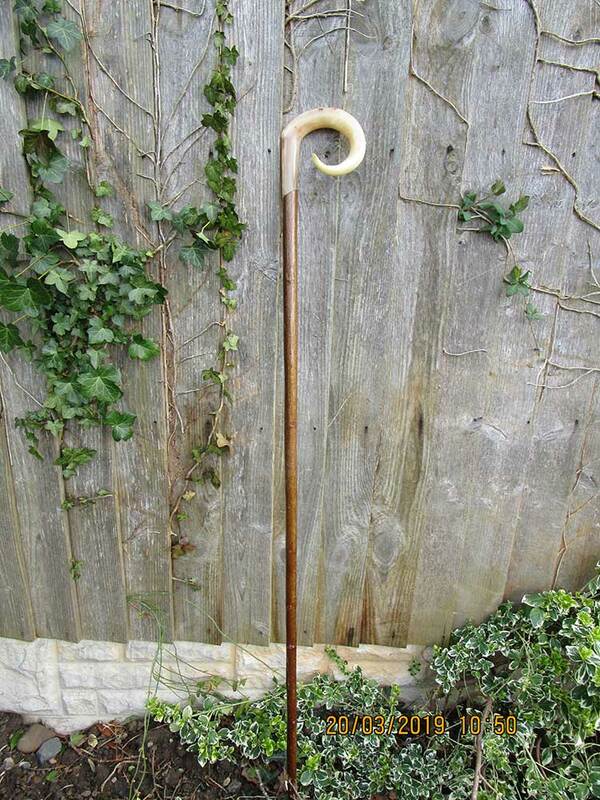 A fine example of a rams curl market stick. 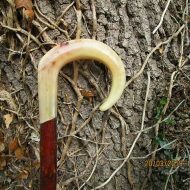 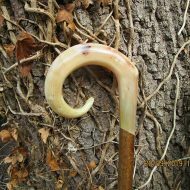 Great quality horn with an angled joint with the dark coloured hazel shank. 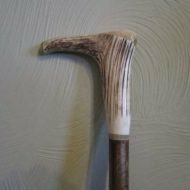 Fitted with a brass ferrule, the total stick length is 53″. 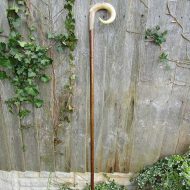 Can be shortened to buyers instruction. 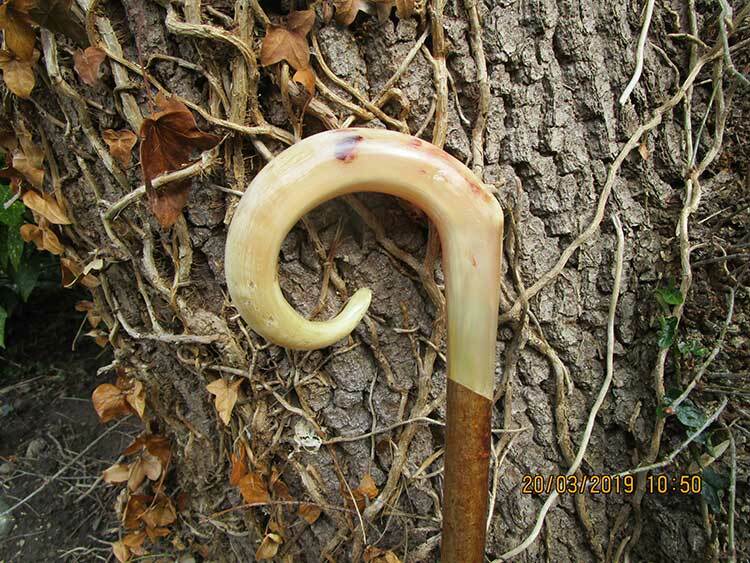 Posted in Walking Sticks / market sticks.